Games4King Dog Escape From Boot House info about the game-Games2Rule. There were beautiful homes in a beautiful and magnificent village. Those houses were pretty good looking. One boot house was beautiful. There is a dog living in that village. That dog was unexpectedly stuck in the boot house one day. It is your duty to save that dog from there. It will help you to find the hidden clues where the dog will be saved from there. 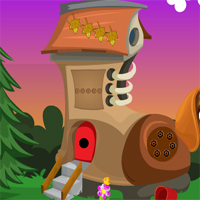 Find all the clues and save the dog from that boot house and congratulate you to win the game. This game is highly desirable. Good luck and have a fun!